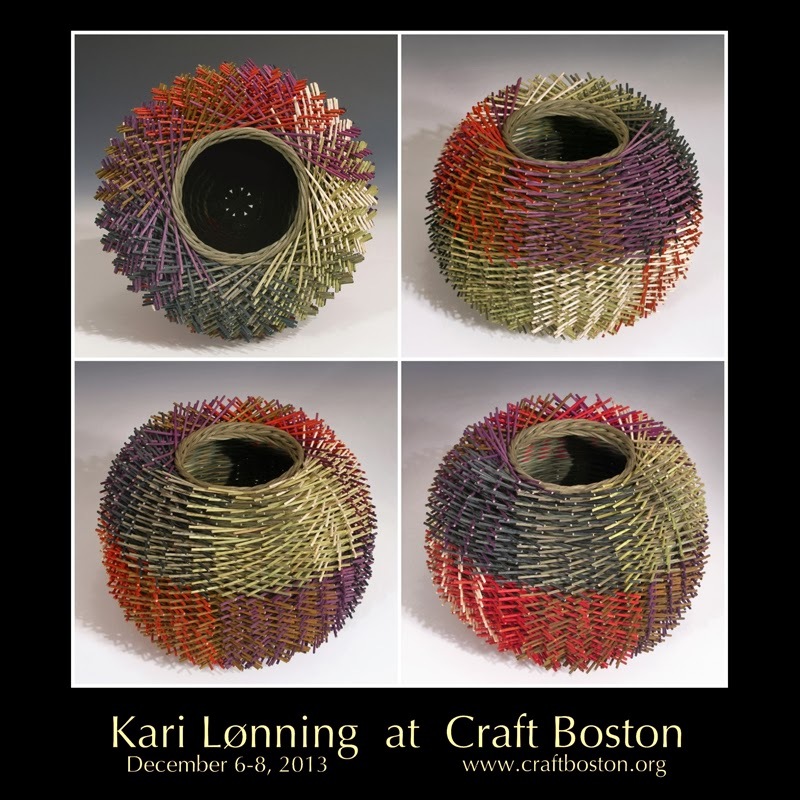 basket - Chocolate, Playing with the Bright Guys 7.5" x 9.75"
I'm getting reading for the Craft Boston Holiday Show. 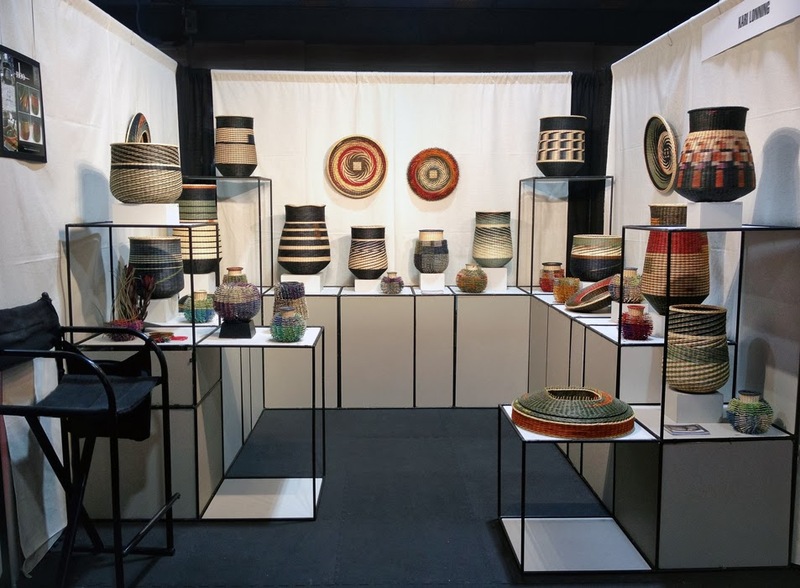 190 juried crafts people from around the country in a broad mix of media will be exhibiting their one-of-a-kind and limited edition art works. The show is sponsored by the Society of Arts and Crafts in Boston, MA. 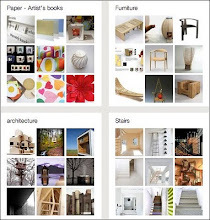 From their website: Meeting in Boston in the spring of 1897, a small group of architects, educators, craftspeople, and collectors organized the first crafts exhibition to be held in this country … The success of this first exhibition provoked the organization of The Society of Arts and Crafts, it's purpose being "to develop and encourage higher standards in the handicrafts." 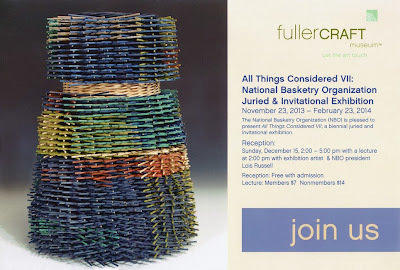 The National Basketry Organization's exhibition "All things Considered VII" has opened at the Fuller Craft Museum in Brockton, MA and will run through February 23, 2014. 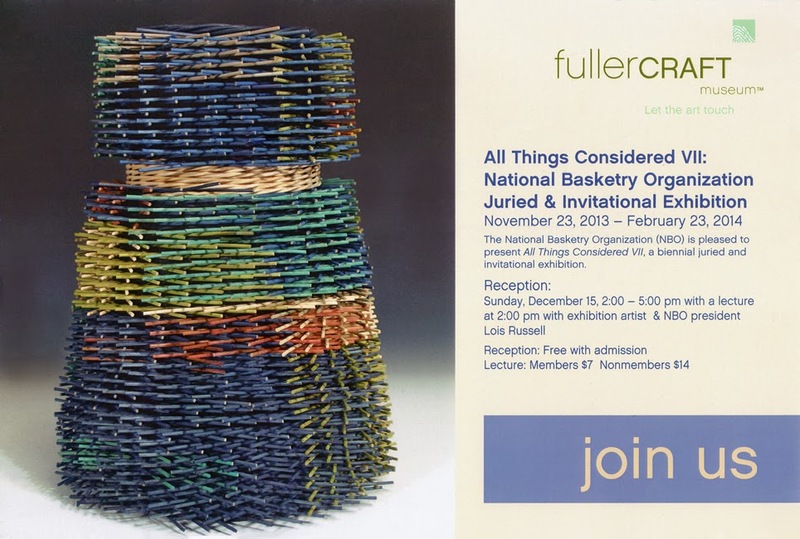 NBO's president and fellow basketmaker, Lois Russell, will speak at the December 15th reception. From their website: The exhibition highlights tradition and stretches the imagination of the viewer to new insights of basketry in the 21st century.